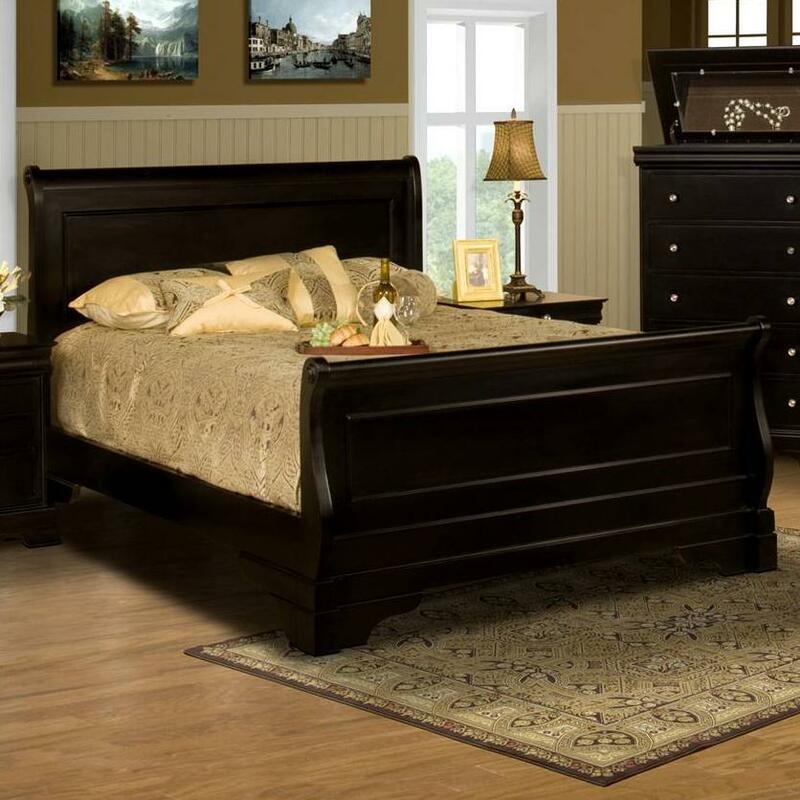 This charming bed has a rich, Black Cherry finish adorning its wood veneer, giving it a warm and elegant look. Smooth lines and shapes are found throughout the piece, a feature that is contrasted by the slight curves of its sleight-style headboard and footboard. This gives it a beautiful transitional appearance that makes it an excellent centerpiece for any bedroom. This bed is available in queen, king, and California king styles. The Belle Rose California King Sleigh Bed by New Classic at Michael's Furniture Warehouse in the San Fernando & Los Angeles area. Product availability may vary. Contact us for the most current availability on this product. 00-013-230 California King Rails 1 1" 79" 8"
00-013-220 California King Footboard 1 75" 5" 32"
00-013-210 California King Headboard 1 75" 5" 45"